Bath salts have long been in use thanks to their therapeutic properties. 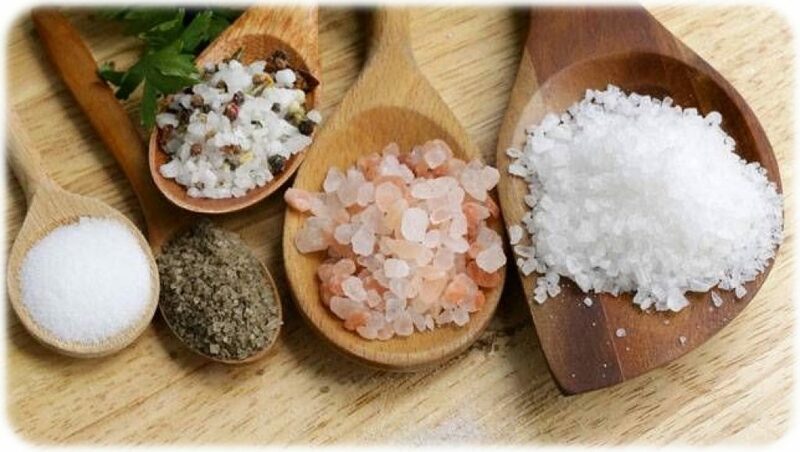 There are multiple written records proving that health benefits of different types of salt have been known since the times of Ancient Egypt and Ancient Greece. 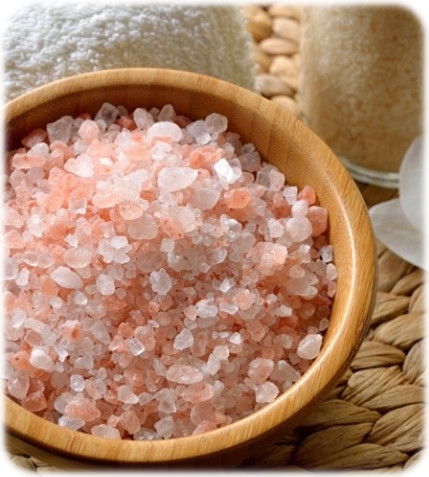 Hippocrates, a renowned Greek physician, used sea salt and rock salt in his healing practices. Avicenna, one of the most significant physicians in the history of humanity, also used salt in his remedies. The healing properties of salt are widely used today. There is even the so-called salt therapy, or halotherapy, which uses salt as an all-purpose remedy. Its main methods include salty air and salt solution inhalations, salt baths, and mineral water treatment, or crenotherapy. Halotherapy proves especially helpful in treating respiratory and skin diseases. It also helps to detoxify the body and greatly improve general well-being. The Salt Therapy Association has more information about the benefits of halotherapy, if you are interested. Best bath salts will let you discover the benefits of salt treatment in the comfort of your own home. They can relax your body and soothe your mind after a hard day at work. 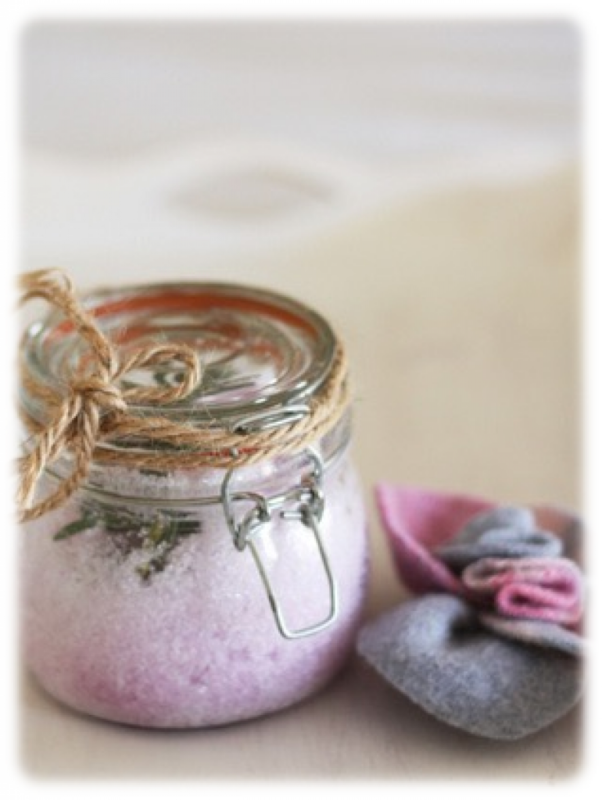 Bath salts can also offer multiple health and beauty benefits if you use them regularly. You can use them separately or combine them with essential oils for an even deeper effect offered by aromatherapy. The Aromatherapy Essential Oils web page can help you find out the effects and uses of different essential oils. 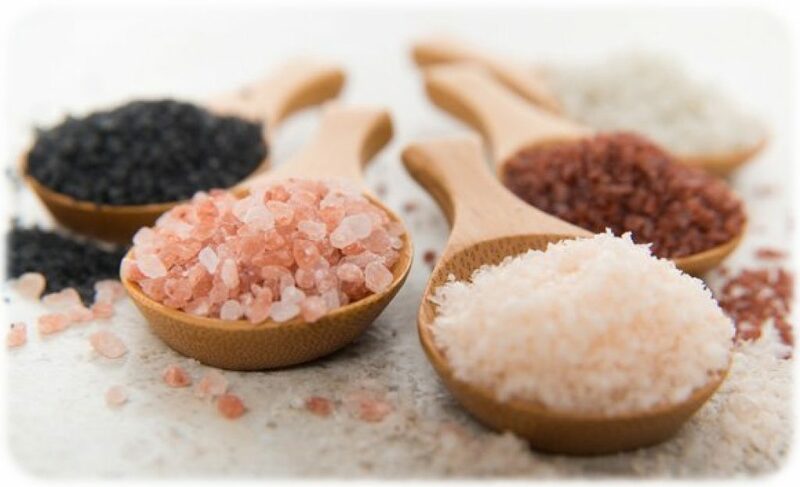 Our tips will let you discover the benefits of different types of salts and show you how to use them without harming your health. Our reviews can prove very helpful in choosing the best bath salts for a relaxing and healing soak. Epsom salt, or magnesium sulfate, is a chemically composed salt containing such elements as magnesium, sulfur, and oxygen. It is named after a spring in Surrey and is widely used in medicine. Dead Sea salt is especially rich in minerals and has multiple therapeutic effects. It contains such elements as chloride, bromide, magnesium, sodium, calcium, potassium, and many others. It is used in beauty industry, spa, wellness, and medicine. Himalayan salt is mined in the Khewra Salt Mine in Pakistan. Some crystals have a specific pink or orange color thanks to the fact that they contain iron oxide. Himalayan salt is mostly sodium chloride and contains other minerals in small amounts. It is also known as “white gold” in the Himalayas. Bolivian salt comes from Salar de Uyuni, the largest natural salt flat in the world. It is especially valued for its lithium deposits. Bolivian salt contains calcium, iron, sodium, potassium, magnesium, and other minerals. Mediterranean Sea salt is a natural salt from Europe. It is mined in the select pollution-free regions of the Mediterranean basin to make sure that consumers get multiple health benefits. This type of salt is highly mineralized and iodized. Bali reef salt comes from the Bali Sea. Salt harvesting is an ancient Balinese tradition. It requires a lot of labor under the hot Balinese sun, as salt is hand-produced by local farmers without any high-tech facilities. Bali salt contains large amounts of iodine and has a unique texture. Mineralizing. Bath salts give the body all the minerals necessary for a long and healthy life. Skin is the largest organ of our body. It has a natural absorbing ability and acts like a sponge, virtually sucking in minerals when you enjoy a relaxing salt bath. You can also help your body to balance the minerals by changing your diet. This Smart Nutrition strategy will show you how to give your body everything it needs with food. Relaxation. 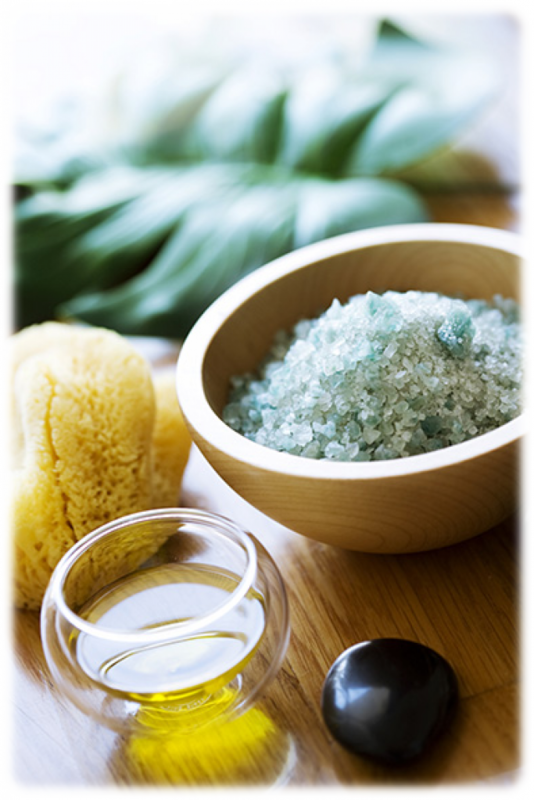 Magnesium that can be found in all types of bath salts proves very helpful for stress relief and fatigue remediation. Epsom salts are considered the best choice for that purpose. You can add some chamomile or lavender essential oil to your bath for an even deeper sense of relaxation. These oils are known for their ability to ease the mind and promote a deep and sound sleep. Magnesium deficiency can cause diseases of different body systems, apart from inducing anxiety, stress, and depression. You can learn more about this essential element in this NCBI article. Pain relief. Bath salts can ease the pain in the body and even cure some diseases that affect bone tissues and joint flexibility. Bromide, which is a component of most types of bath salts, helps to soothe sore muscles and ease joint pains. Some bath salts can be used as an alternative medicine method to cure osteoporosis and psoriasis. That is possible thanks to the presence of calcium in their formula, an essential element for a healthy musculoskeletal system. Detox. The combination of warm water and humid air helps to detoxify the body. The use of bath salts increases that effect to a large degree. A salt bath will draw toxins from your body. You can become a much healthier person if you make soaking in a salt bath a routine practice. Healthy skin. 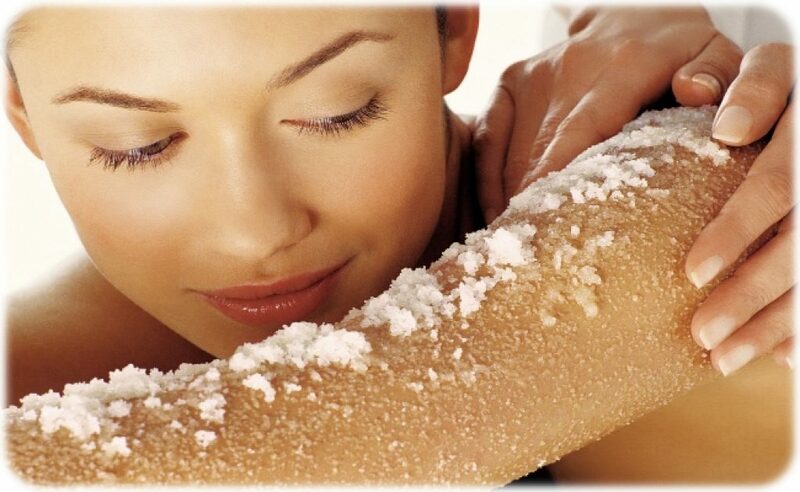 Regular salt baths will greatly improve the condition of your skin. Warm water opens the pores and allows the nutrients of bath salts to get absorbed into the skin. This will cleanse the skin from the inside out and make it nourished and healthy. Bath salts can also help with irritations and itchiness if you have a sensitive skin. They can even offer treatment for acne, eczema, or psoriasis. Improved blood circulation. Soaking in a warm salt bath expands the blood vessels and promotes better blood flow. Improved blood circulation has multiple health benefits. Enhanced oxygen use, higher absorption of nutrients, a fortified immune system, and a lower blood pressure are just a few of them. Sinus unclogging. Bath salts can be much help in fighting respiratory diseases. Inhaling steamy salty air soothes the inflamed blood vessels in the nasal cavity, unclogs the sinus, helps to breathe better, and relieves some symptoms of asthma, bronchitis, flu, and common colds. Drink one glass of clear water before your bath to prevent dehydration. Make sure that you don’t go with a full stomach. Wait for at least half an hour after your meal. Scrub your body with a dry brush or a rough towel to exfoliate the dead cells and improve the absorption of the skin. Fill your bathtub to the point that you can immerse your body up to your neck. Make sure that the water is lukewarm, not hot. The perfect water temperature is a few degrees higher than the temperature of the body. To achieve the best therapeutic effects, it is recommended to use about two pounds of salt per a bath. If a relaxing bath is all you need, two cups of salt will be enough. The perfect bath duration is somewhere between fifteen and thirty minutes. If you take less than that, your body won’t have enough time to fully absorb the minerals. If you stay in the bath longer, your skin might overdry. After the bath time is over, do not shower to rinse the salts off. Just dry yourself with a towel. After you have toweled your body dry, cover yourself with a warm bathrobe and rest for at least half an hour to allow the nutrients of the bath to set in. Drink some water to restore the water balance in your body. Please note that eating immediately after a salt bath is not the best idea. This bath salt will help you to relieve stress and prepare for a good night’s rest. It contains pure Dead Sea salt and several botanical components. This type of salt can loosen the muscles, reduce inflammation, and ease the pains in the body. 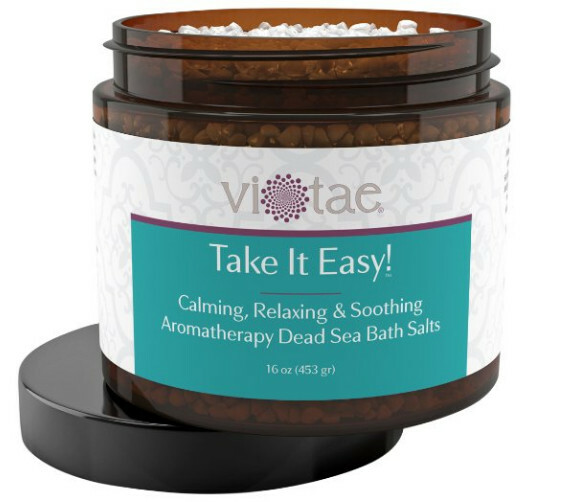 The formula of the Take It Easy salt from Vi-Tae includes lavender and chamomile oils to ease the mind and envelop you with a soothing aroma. It also contains orange blossom and sage oils to nourish and moisturize the skin. If you want to have a relaxing and beneficial soak, this product is just the thing for you. This is one of the best Epsom salt products available today. It contains pure magnesium sulfate without any additives. It can be used to soothe muscle pain and stiffness, ease tired feet, deeply cleanse the skin, detoxify the body, and fight anxiety and stress. 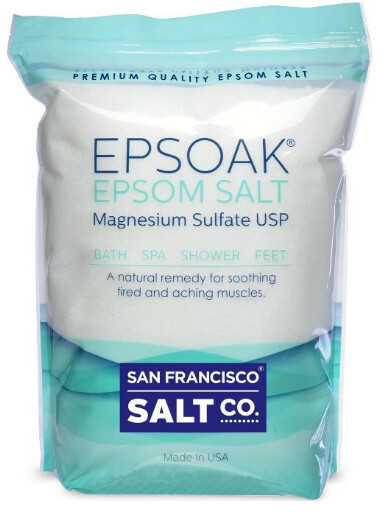 You can use this bath salt from Epsoak as a scrub to exfoliate the dead cells and make your skin soft and smooth. It has a perfect grain size and dissolves in a blink of an eye when you put it into a warm bath. If you are a gardener, you can use this salt to boost the growth of your plants. This product comes with all the advantages of pure Dead Sea salt. It has a high mineral percentage and will be a great choice for people suffering from skin diseases, specifically acne, eczema, and psoriasis. It will cleanse and detoxify the skin, ease any irritations, and improve the general state of your skin. 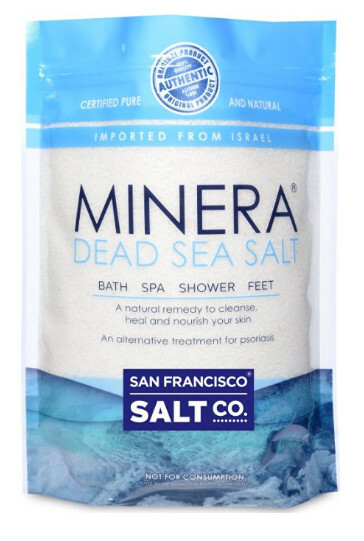 This bath salt from Minera is harvested on the southern coast of the Dead Sea in Israel. This region is known to produce salts with a high mineral content. The formula of this salt comprises more than twenty essential minerals. Magnesium, calcium, potassium, bromide, and sulfur are just a few of them. This bath salt will be a great aid in losing weight and becoming toned. It contains pure Dead Sea salt without dyes or fragrances. Its formula also includes some natural components to boost toxin shedding and fight cellulite effectively. It can also prove very helpful for draining excess liquid from the body. 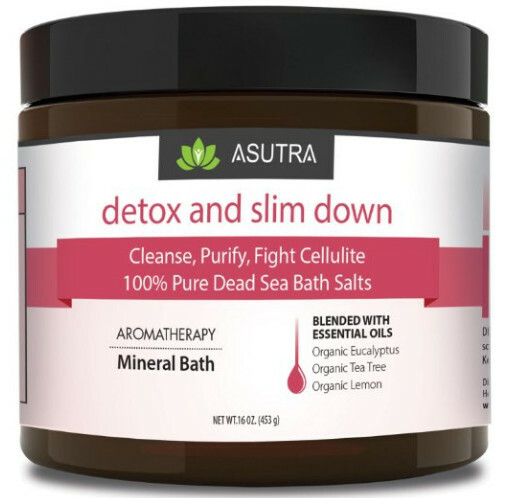 The Detox & Slim Down salt contains a blend of pure organic essential oils including tea tree, eucalyptus, and lemon oils. It also comprises Aloe Vera extract and vitamin E to make it even more beneficial for the skin. This vegan product will be a great choice for those who want to fight against cruelty to animals. This is a high-quality pure Himalayan bath salt mined from the deposits that are over 250 million years old. It is a 100% natural product hand-harvested from the mines of Pakistan. This salt is hand-selected and approved by scientists. This salt from The Spice Lab has a large grain the size of small pebbles, which prevents the salt from dissolving too quickly. It sets on the surface of the tub bottom and stays there for some time to gently massage your body and offer extra relaxation. Soaking in a bath with this salt will make your skin soft and put your mind at ease. If you want to have a more luxurious bathing experience, you might consider adding more color and scent to your regular bath salts. Essential oils and food colorings will help you with that. You can experiment with any fragrances and hues you like. Here are just some hints for you – just add these oils to your bath salt before using it. If you suffer from seasonal allergies or want to ease the symptoms of a cold, add ten drops of eucalyptus and ten drops of peppermint essential oils to your bath salt. This blend will clear your sinuses and help you fight headache. Ten drops of lavender and the same amount of bergamot oils will help you put your mind at ease after a stressful day. A hot bath with this blend will help you relax and prepare for nighttime rest. If you face a difficult task ahead of you yet cannot concentrate, try taking a bath with ten drops of lemon and rosemary essential oils. It will clear your mind and help you focus on the task at hand. If you cannot find balance, a mix of ten drops sage, five drops mint, and five drops tea tree essential oils will help you understand your deepest desires. Relax in a hot bath with a salt of your choice and this oil mix and try to understand who you are and what you want. It will be a nice step on the large journey to finding yourself. If you need to calm your nerves, enrich your bath salt with five drops of geranium, ten drops of lavender, and five drops of rose oils. Soaking in a hot bath with this fragrant combination of oils will bring peace and tranquility to your mind. If you are feeling a bit down and need a quick fix to uplift your mood, try taking a bath with Himalayan salt spritzed with five drops of orange and the equal amount of clove essential oils. This will make you feel empowered in no time.